In traditional companies, managers make decisions, and workers execute the plan. 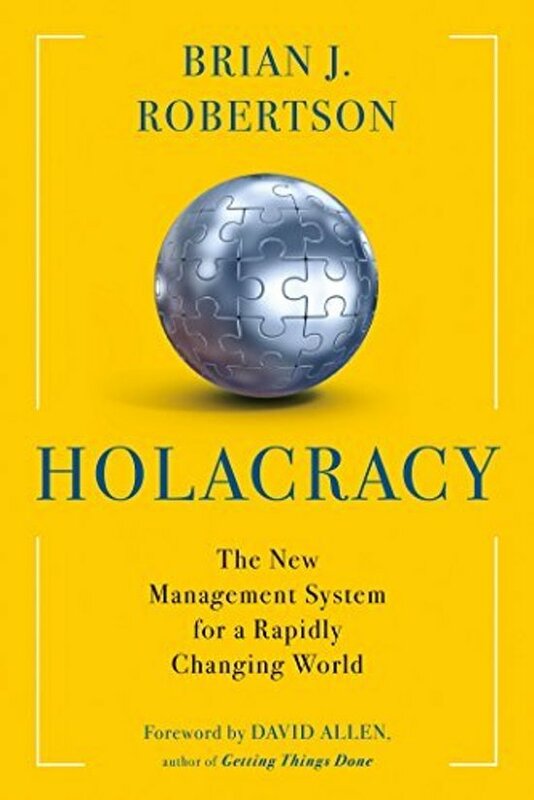 But Holacracy is a revolutionary and tried-and-tested new system which turns everyone into a leader. The organisation looks like a nest of circles, not a pyramid -- but it's not anarchy. It's finally clear who should make each decision -- the person on the frontline has that authority -- and the organisation succeeds by adapting swiftly to pursue its purpose. In Holacracy, pioneer Brian Robertson explains how to adopt this system across your organisation -- and what you can do just within your department or for yourself -- and how to overcome any obstacles along the way. Als je zoekt naar andere manieren om een organisatie efficiënter te maken dan geeft dit boek je nieuwe ideeën. De website bevat een aantal praktische zaken ter ondersteuning van het boek. Het concept pakt transparantie, duidelijkheid en verantwoordelijkheid in de organisatie op een nieuwe manier aan.